Don’t panic if your water pipe burst or water pipe leak turns out to be under your drive, patio or garden. At AB Water the Water Leak Plumber Stourport we have our own specialist trench less “No dig ” Mole tunnelling system which to avoid costly excavations. A burst water pipe or a leaking water pipe can easily cause major damage to your home business or industrial property in Bewdley. Here at AB Water we are local water leak specialists, we are based just 1o minutes away on Bewdley Hill in Kidderminster and we are available for emergency call outs 24 hours a day, 7 days a week. Don’t risk the contents or the structure of your home, business or commercial property, a leaking water pipe or a burst pipe or even a cracked joint or old seal being broken on your underground water pipes can cause all sorts of internal and external problems to your property with repair costs running up into thousands. 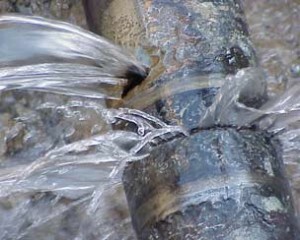 So if you think you have a water leak or if you know you have one give us a call straight away. When you discover leaking water pipe or a burst pipe, the first thing to do is turn the water off, then find buckets or pans to collect any water still leaking. Turn all of your taps on to drain your system then call the Bewdley Water Leak Plumbers AB Water to find and fix your water leak permanently. AB Water have over 30 years of experience in finding and fixing water leaks – Andy Brown spent 25 years with Severn Trent Water doing exactly that and is based just 10 minutes away from Bewdley in Kidderminster so we will be with you fast. Wherever your home or commercial property is in Bewdley we know the town and area well and are ready to respond to your water leak emergency 24 hours a day, 7 days a week. You can rely on our skilled and professional hands to deal with your water leak emergency efficiently and professionally and most of all cost effectively. No matter if your water leak or burst pipe develops on a weekday or weekend, bank holiday or breakfast time, the middle of the night or lunch time just give us call and we will do all we can to help. We know and have seen first-hand how distressing it can be when your home or business is threatened by a leaking or burst water pipes. The first thing we will do when we get to you is to find and identify your water leak or burst pipe and get it contained so that it doesn’t cause any further damage. Once we have traced exactly where the leak is and we are specialists at leak detection, we will continue on and repair the leaking or burst pipe. Even if it is a mains water pipe and even if it is underneath your home, business, driveway or garden we have all the specialist tracing equipment and the latest trench less “ No Dig “ Mole system to repair your leaking or burst pipes in Bewdley in the shortest possible time and in the most cost effective way. We carry all the specialist plumbing equipment and connectors including MDPE Poly piping and fittings. As well as all the necessary plumbing tools, including pipe cutters, wrenches and underground trench less mole system..
Don’t mess around when you have a leaking water pipe or a burst water pipe, Call AB Water the professional Water Leak Plumbers Bewdley We will find the most cost effective way to get your water leak repaired quickly and efficiently. We are more than happy to visit your home or business in Bewdley and give you a ” no obligation ” quote to get your water leak repaired quickly. 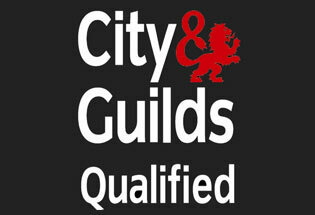 We want your property to be completely safe and free from any water leaks. 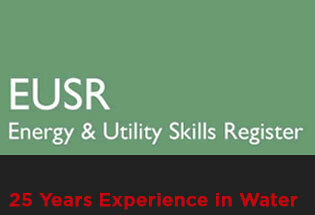 We also operate our Bewdley emergency water leak call out service 24 hours a day, 7 days a week. 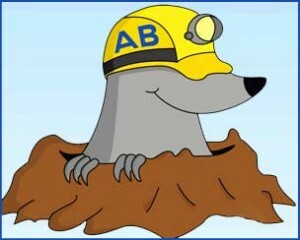 Just call Andy Brown at AB Water your LOCAL Bewdley water leak plumbers.